Ready to Make a Video? Let's Get Started! Ep. 1 Ready to Make a Video? Let's Get Started! Ready to Make a Video? 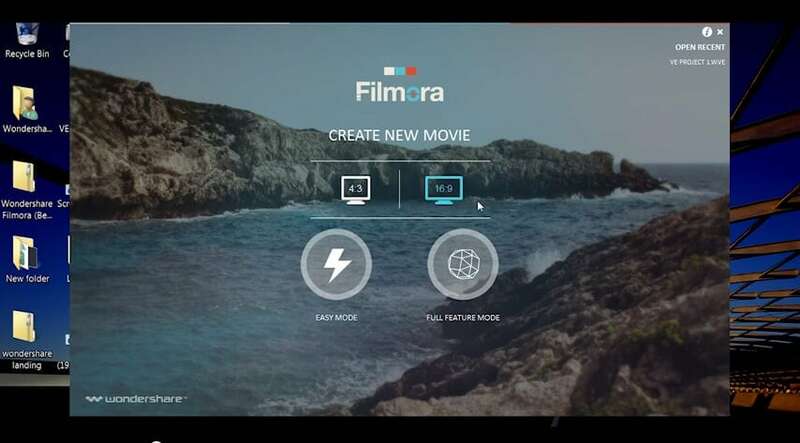 Let’s start from getting to know the interface of Filmora! 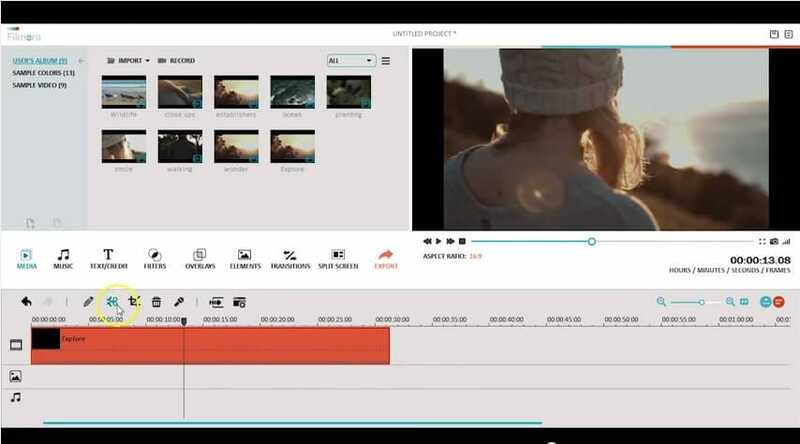 We are going to walk you through Filmora video editor so that you have everything you need to start making a video. On the opening screen, there are a couple choices. The first choice is what dimension you want your video to be in – the standard 4:3 or widescreen 16x9. Most users will choose 16:9 as this is what the majority of android, apple devices and DSLRs record in. Secondly, you can choose to create your video in easy mode or full feature mode. Easy Mode is a great way to create videos in 3 steps, with our ready-to-use themes. We will walk you through the Full Feature mode in this article. There are 3 sections that make up the interface -- the main navigation, the timeline and the video play back. Let’s start with Media in the main navigation, this is where you import your media files for your project and can organize as you wish. Then you find a number of menu items that will help spice up your videos including music, title, filters, overlays, elements, transitions , split screen. In the bottom of the interface, this is what we call a timeline. You can active your timeline simply by dragging and dropping any media file to this module. Once it’s there you can make basic adjustments to your media, such as rotating, cropping, trimming etc. 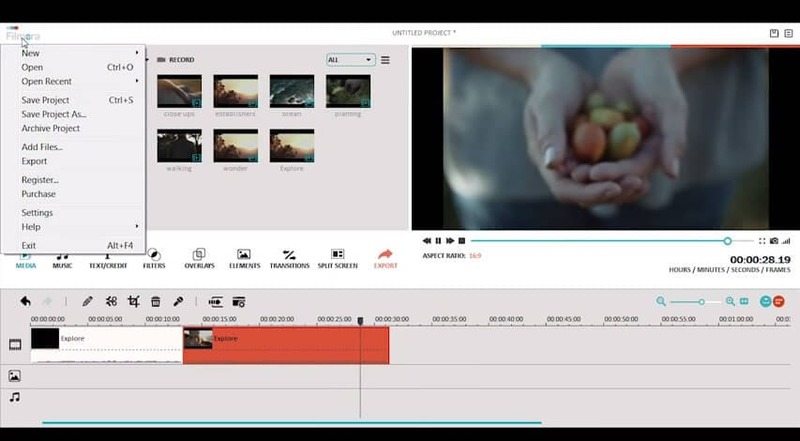 You can also splice your clips so that you will have the scenes you need. The last part of the interface is your video preview screen. This is where you will be able to review all the changes and features you’ve implemented. For more resources you can click the Menu button in the upper right corner. You can save or open recent project by clicking on the Filmora logo in the upper left corner. When your movie is done, click the Export button to share, save or export your final project.